Fact about q, letterq and statenames. Interesting fact about q, letterq & statenames. 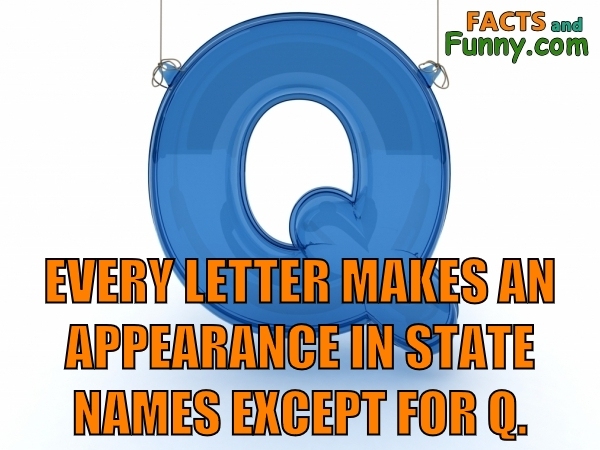 Every letter makes an appearance in state names except for Q. We find this fact interesting because q is the loneliest letter that you ever knew. In addition to q, this photo shows strings, blue and capitol Q. Q is the 17th letter in the modern English alphabet. This content was created in January 2019.